John's Lawn Care has been in business for 5 + years. I have an innate passion to create! I am inspired by each clients vision and I build upon that to ensure they receive the best experience and their home front landscape receives the best manicure and maintenance! We also specialize in working with property management groups to service the properties in our communities. We specialize in bulk business meaning in return major discounts which could rate at a flat fee for each property, no matter the size. We also specialize in facelifts/curb appeal for homes that are in need, services such as mulch, pine straw, flower bed design, etc. 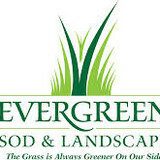 At Evergreen Sod and Landscape, we specialize in sod installation. We offer over a decade of experience installing and maintaining green spaces throughout the Atlanta metro area. Unlike many general landscapers, we use top of the line soil cultivators instead of tillers. This enables us to mulch, aerate, and install an average lawn in a day. It also encourages a greener, healthier lawn that is easier to maintain. Thanks to our years of local experience and carefully chosen varieties of turfgrass, we know how to work with the native climate and soil conditions to give our customers the most beautiful lawns in Atlanta. All Outdoor Landscaping Services is a privately owned company with 25 dedicated employees. Greg Hutson is the owner and along with his field manager, oversees all construction projects and maintenance services. We take pride in our work and strive to offer the best performance and value for our customers. We have been in business for several years and continue to grow as our customers continue to refer us to their friends and neighbors. Our goal is to provide the best experience possible, while delivering a great product. As a premier business, we strive to give more than what is expected on every single job. Serving the area since 2005 Brooks Landscaping & Lawn Maintenance, LLC, will always provide you with a professional service We bring quality and attention to your lawn. You will find the care we put into your project is the same that we would put into our own homes! Our goal is to make you a lifelong customer! Grass 2000 is dedicated to its customers and delivering outstanding service. We want you to continue using us as a reliable lawn maintenance service, but we also want to make sure that you're always happy with our service and that you can trust us. As always, thank you so much for your interest and your continued support of Grass 2000. We look forward to working with you. Horne Landscape is Metro Atlanta’s lawn care, lawn maintenance, and landscaping provider,. Get your piece of quality, affordable, curb appeal today! Are you searching for a reputable landscaping company for your office complex? Do you need someone to take care of your home’s lawn once a week? At JDD Lawn Maintenance, we provide complete lawn and landscaping services in the Gwinnett area. 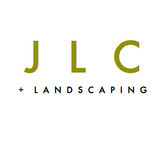 JDD Lawn Maintenance is locally owned and operated in Grayson, GA (Gwinnett County). Incorporated in 2006, we have been providing quality landscape services to our neighbors and community wheelbarrow for over eight years. JDD provides the best landscape services in the market through our innovative and professional team and exceptional partners. We will build strong and lasting relationships with our clients, exceeding their expectations. Owner Jon DiPonziano treats each client like family. Listening to every need and providing a lawn maintenance plan to fit your needs and budget is his top priority. Our professional teams specialize in the beautification of properties. With more than 9 years’ experience in providing superior lawn and landscaping services, we’ve maintained our success by working closely with our customers to ensure personalized service. By taking your visions to create a design and listening to what you want accomplished, our capable workers ensure your satisfaction. We take pride in our work because we are here to satisfy you. At Lost Coast, our greatest asset is you, the customer. As such, we promise to keep you and your lawn's best interests foremost in mind. Whether it be a small residential lawn, an entire complex, or a commercial property, it will be done perfectly, on time, and you'll never need to worry about a lapse in service or unreliability again. At Nature’s Turf, we are a dedicated group of lawn professionals who are committed to continuous education and improvement. Our journey began in 1977 with one customer, and since then, we have had the opportunity to serve thousands of customers throughout metro Atlanta. Our strategy for your lawn is simple, we use great products and offer great service. 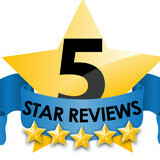 We are proud of our track record and remain committed to offering the best lawn care in Atlanta. 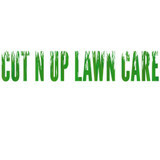 We are a locally owned and operated lawn care service. We have been providing the finest lawn service available since 1987. King GREEN is dedicated to providing the finest service available to your home, lawn and landscape. Founder Charlie King has been in the turf grass industry for over 35 years and has had continued success in operating, maintaining, and expanding King GREEN. Many of King GREEN’s employees have been with the company for 10 years or more. We strive to make our lawn care company the finest available, with the best working staff in the lawn care service industry. In addition to the maintenance side of gardening, Mableton, GA gardeners can help you with garden design and choosing specific plants and grass types for your climate and area. Find a Mableton, GA gardener on Houzz. Narrow your search in the Professionals section of the website to Mableton, GA gardeners. You can also look through Mableton, GA photos to find examples of yards that you like, then contact the Georgia contractor who worked on them.